There is no standard for tow ratings, only what the manufacturers are prepared to back. 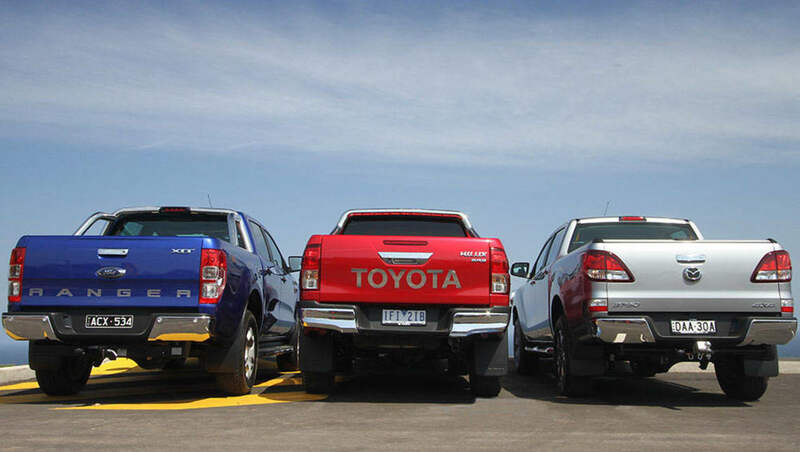 Last week's cover story comparing the three best utes on the market caused a bit of stir -- and not just among the hordes of Toyota HiLux evangelists who queried our call on deciding in favour of the new Ford Ranger. A number of readers contacted us to highlight just how little you can carry onboard most utes when towing the maximum weight allowed by the manufacturer. As we said in the original story, towing claims are merely that: claims. There is no government standard, only what the manufacturer is prepared to back. Testing earlier this year found the towing capacity claims of certain models to be rather ambitious. In the meantime, we've crunched some numbers to help buyers better understand the capability of each vehicle. The other critical number after tow capacity and the weight of the vehicle is the Gross Combination Mass (GCM). Take the GCM, subtract the weight of the vehicle and the towing capacity and the balance can be carried in the ute. The Toyota HiLux GCM is 5650kg, subtract the 2075kg kerb weight and 3200kg tow capacity and the payload for the vehicle itself -- including occupants -- is just 375kg. That's a couple of big blokes and their lunch esky. The same calculation on a Ford Ranger (but subtracting its bigger, 3500kg tow capacity) leaves you with just 253kg. That's two big blokes and their toothbrushes. Here's where it gets tricky, though. If we reduced the tow capacity to 3000kg, you can carry more (575kg in the HiLux and 753kg in the Ranger). A study by Mitsubishi earlier this year found "most customers tow between 1 and 1.5 tonnes, the majority never tow more than 2.5 tonnes, and only 5 per cent only ever tow 3.5 tonnes". The findings also happen to suit Mitsubishi. The Triton can only tow 3100kg but it has a high GCM, which enables it to carry 820kg at its maximum towing capacity. But here's the other twist making it difficult for buyers. These are all still claims. Our experience has found the Triton struggles with a big load, despite what the brochure says. The lesson in this? Buy a smaller caravan or boat if you want to load up your ute. Big numbers are good, but how the vehicle physically handles a load when on the move is also critical.